We offer a service plan and send the shaving cartridges to your home address periodically. If you shave daily, you use about 2 shaving cartridges a month. In this case we advise 12 shaving cartridges every 6 months. Please read our shaving tips for the best possible use (good rinsing and drying after use). If you shave 2 to 3 times a week, we advise 2 shaving cartridges every 6 weeks. In this case we advise 8 shaving cartridges every 6 months. The service plan can be ended at any time. First delivery of the shaving cartridges is immediately after you start the service plan. The following shaving tips apply to the body and face. The complete booklet of shaving tips can also be downloaded via GLADDERR.com. Soften the hair and follicles by wetting (at least 3 minutes) . A skin scrub using GLADDERR Pre-Shaving Scrub will also help the hairs all point in the same direction and remove dead skin cells, allowing you to get an even closer shave. NB: we do not advise daily scrubbing, once a week should be enough for optimum shaving results. Apply the GLADDERR Foaming Shaving Oil and massage it into your external skin. 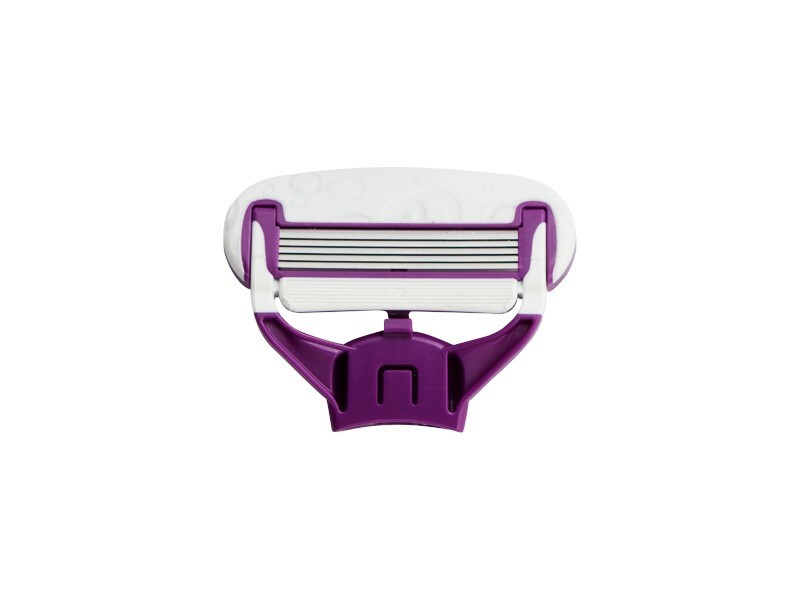 Start by shaving a straightforward part of your body in order to get the feel of the razor. Always shave slowly and gently, pulling your skin taut with your fingers where possible. Feel the direction of the hair growth and start by shaving in that direction. After a while, you can possibly also work from the sides. If the hair grows downward, always shave from top to bottom to start with. The GLADDERR Foaming Shaving Oil gives you plenty of time to do the job thoroughly, due to the oil basis staying put on the skin for longer. While applying the oil, it is useful to be able to place the hand grip in a holder. GLADDERR has designed various (wall) holders specifically for that purpose. Rinse the cartridge frequently in water while shaving, in order to rinse out the hairs. This keeps the blades nice and sharp. Check your skin and massage gently with your hands after shaving to determine the results. Carry on shaving if necessary. Optimise your smooth skin by not shaving for a couple of days, and improve your own shaving skills through experience. Red irritation can be avoided once you get to know your own body. Give your skin time to adjust to the changes of regular shaving. We recommend rinsing with cold water, which will close the pores and give you a fresh and smooth feeling. Rinse the handle and cartridge with water after use. Cleaning the cartridge in alcohol will extend its life. Always dry the handle and blades well after use. You'll be glad you did the next time you shave. 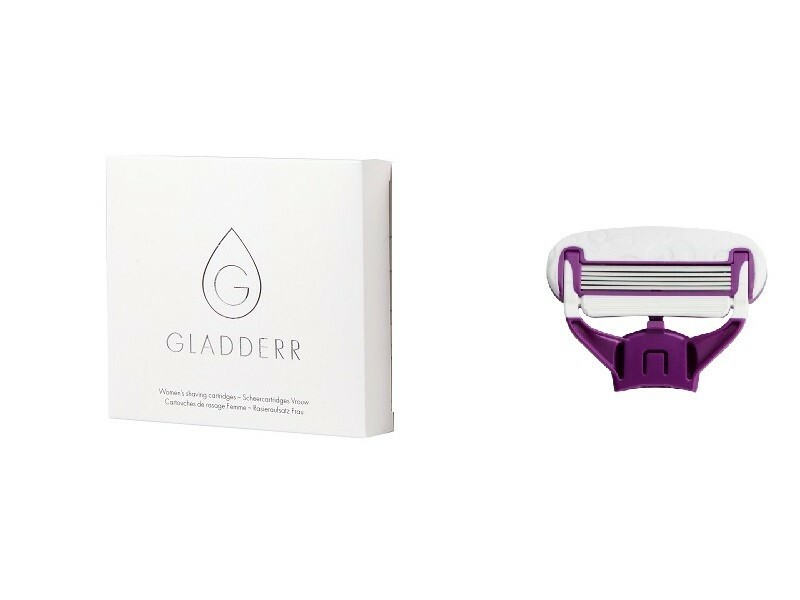 It will also extend the life of the cartridge, while keeping your stylish GLADDERR shaving tools looking attractive! After shaving your pubic area, it's a good idea to sleep without underwear for a night. This will air the pubic skin and give it a better chance to recover, therefore reducing the risk of irritation. Moisturise your shaven body skin with GLADDERR Calming Aftershave Balm for a lovely, softening effect. We always advise against the use of baby oil and baby powder. And last but not least, enjoy the great feeling that you get from GLADDERR.